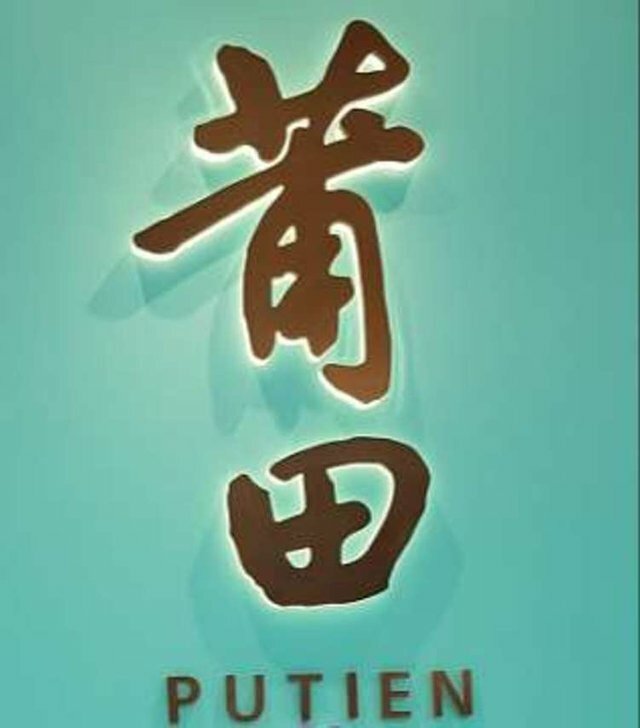 We visited Putien that is located at Jurong Point Shopping Centre in Singapore. 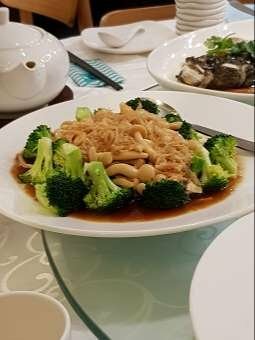 It was very crowded since it is one of the popular Chinese restaurants in Singapore. It has a high standard of customer service so all the staff are polite and they tried their best to serve us even though they were extremely busy during peak hours. I ordered a ten-course meal and the following were just a few of the dishes that we had. This is one of my mum’s favourite dishes. 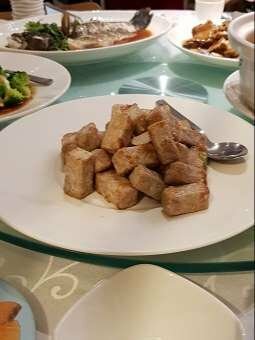 The yam cubes had been fried to golden brown with a sweet layer of sauce on them. This dish was filled with lots of different types of seafood with rich and tasty sauce. 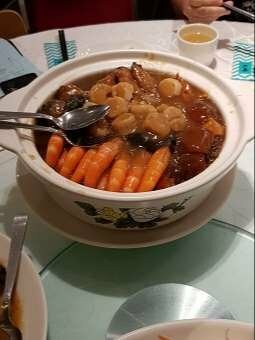 It was definitely a great dish for a family meal to share. 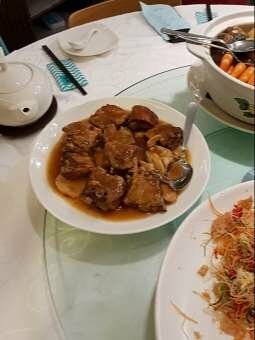 The pork ribs were soft and easy to chew. It tasted great especially with its great sauce. The vegetables were tasted great with a rich layer of sauce. This is definitely a great dish for vegetable lovers. My dad loves fish and this fish definitely had delighted his taste. The great mixture of sauce to enhance the taste of the fish. Overall, it was a great meal and my family enjoyed it. Looks good. Seafood is my favorite. 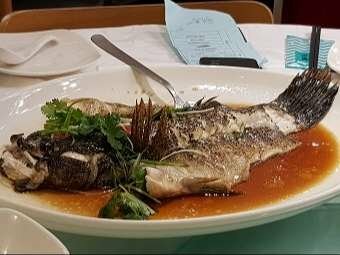 That fish meal looks so delicious! Thank you for entering our <Your weekly choice > Contest . Thanks to @fun2learn, Tasteem has become a more attractive guide. We upvote your post, wish you the best of luck in winning our Contest!